Dr Andrew Johnson became a Partner at Marple Cottage Surgery in 1999, following 18 months in the sunshine of Western Australia where the first of his two daughters was born. His interests include chronic diseases such as hypertension (blood pressure), heart disease, asthma and COPD. He also performs a variety of minor surgery procedures. Having played competitive sport all his life Dr Johnson also has a major interest in musculoskeletal (bone and joints) medicine, from sports injuries and prevention of these to arthritis. He is also currently doctor to the Manchester City FC Academy. Dr Al-Ausi trained at Manchester University before undertaking surgical training in London and Bristol. When his sons were born he switched to General practice to spend more time with his family, which brought him back to the Stockport area. He was a registrar at Marple Cottage Surgery in 2010 before becoming a partner when Dr Wells retired in 2013. With his surgical background in mind he has taken over the Vasectomy Service in Stockport, and has an interest in Family Planning. Furthermore, he continues to practise minor surgery procedures. Otherwise his main responsibility is leading the clinical development at Marple Cottage. Dr Al-Ausi enjoys cycling and still rides his bike to work as often as he can. I studied at Nottingham University and qualified as a Doctor in 2007. In my final year of medical school, I spent 6 weeks working at a small hospital and rural clinics in Fiji. I have travelled around the UK a bit with my training. I spent one year working in Charing Cross Hospital in London doing jobs in colorectal & vascular surgery and respiratory & acute medicine and then moved to West Wales where I spent a year completing my foundation training. I then moved to Cardiff and did hospital medical training for 2 years in jobs including gastroenterology, cardiology, respiratory, endocrinology and infectious diseases and during this time completed my MRCP (Membership of Royal College of Physicians). I then decided settle in the Stockport area to do GP training. During my time at Stepping Hill I have done obstetrics and gynaecology and paediatrics. Following my GP training placement at Marple Cottage Surgery, between 2012 - 2014, I took a permanent GP role at the practice from July 2015. I attended Manchester University and qualified in 2009. I have worked in the Manchester area since University and have worked in a variety of specialities. I completed my GP training in 2014 and I worked as a GP in Rochdale for 2 years until moving to Marple Cottage in August 2016. After qualifying as a Registered General Nurse in 1989 where she worked in critical care, renal medicine and in industry Catherine moved into general practice in 1997. For two years Catherine was a practice nurse before studying for an MSc at Liverpool University, and thereafter worked in several practices in Cheshire as a Nurse Clinician whereby she can treat patients with acute medical problems and also people who have on-going long term conditions (eg high blood pressure, heart problems, diabetes and COPD). In 2004, Catherine joined Marple Cottage Surgery as a Nurse clinician, where she sees patients with acute medical problems and is able to prescribe medication as a GP would do, and also manages our diabetic, asthma and COPD. Catherine is also an Executive Nurse at Bury CCG. In 2002, Sarah attained the Diploma in Nursing from Manchester University and spent 18 months working on the Trauma and Orthopaedic Unit at Stepping Hill Hospital. Sarah joined Marple Cottage Surgery in 2004 because she wanted to work in general practice, where health promotion is primary prevention and allows her to form strong patient relationships. Sarah is the Asthma Lead at the practice having completed the asthma diploma from the National Respiratory Training Centre. 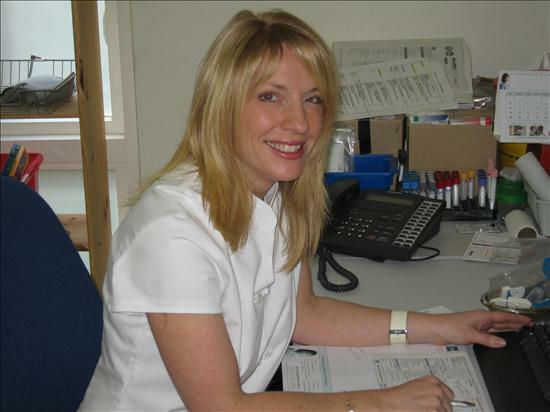 Sarah provides a wide range of nursing services including cervical smears, health promotion and screening, children’s vaccinations and travel vaccinations. In 2006, Joanne joined the practice nursing team as a healthcare assistant, which involves offering appointments for blood tests, blood pressure checks, 24hr blood pressure monitoring, spirometry, ECGs and general health screening. Joanne also takes an active role in smoking cessation and infection control management at the practice. After training in law, followed by roles in management, sales and marketing, I joined Marple Cottage Surgery in 2003. As Managing Partner my role involves managing the smooth running of the practice, ensuring that we provide an excellent clinical service for all our patients, whilst providing strategic and business direction for the ongoing development of the practice. I am also a Non-Executive Director of Viaduct Care, the GP Federation for Stockport. Our practice midwife is Julie Holowko. The practice is covered by a team of midwives operating in the Stockport area, which means it might not always be Julie you see when you visit the surgery for your appointment. When you find out that you are pregnant, if you let the surgery know or email Julie directly, she will telephone you to arrange your first appointment to see her at around 10 weeks into your pregnancy. Julie holds an antenatal clinic once a week at the surgery on Wednesday afternoons. Please make your appointments between 13:30 - 16:30. The District Nursing Team in Marple work alongside the surgery to provide care and services to the Marple population who are housebound and unable to attend the surgery for such care. The District Nurses are usually required as a result of a hospital attendance, for example; dressings, removal of stitches and regular injections. To arrange to see a District Nurse please contact Marple Clinic on the details above. *You can make an appointment by telephoning: 0161 426 9636 between 9.30am and 16:00pm - Monday to Friday. See leaflet below for further information.